Bernalda is a town that is rich in magic in the heart of the Basilicata region, adjacent to Metaponto - a magnificent testimony of the Magna-Graecia civilization - and just a few kilometers from Matera, famous worldwide for its Sassi, which make up one of the oldest inhabited cave dwellings in the world. Along the valley of the Basento, the image one has of Bernalda is a picture that remains impressed in one’s memory. From this point-of-view, the town reflects the typical conformation of towns in the Lucania territory, situated up on the slopes of hills. 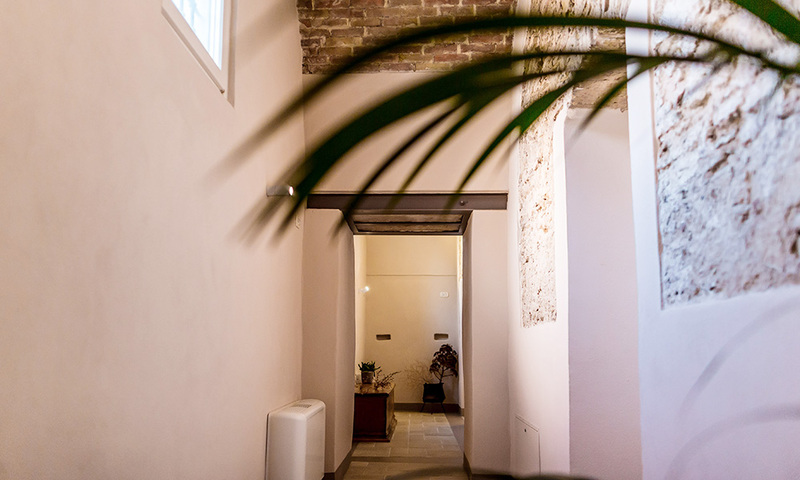 At the beginning of the 1500s, with the creation of elegant dwellings that today surround the ancient church of San Gaetano, an exclusive hamlet took shape in the heart of the city, with a long history to tell. 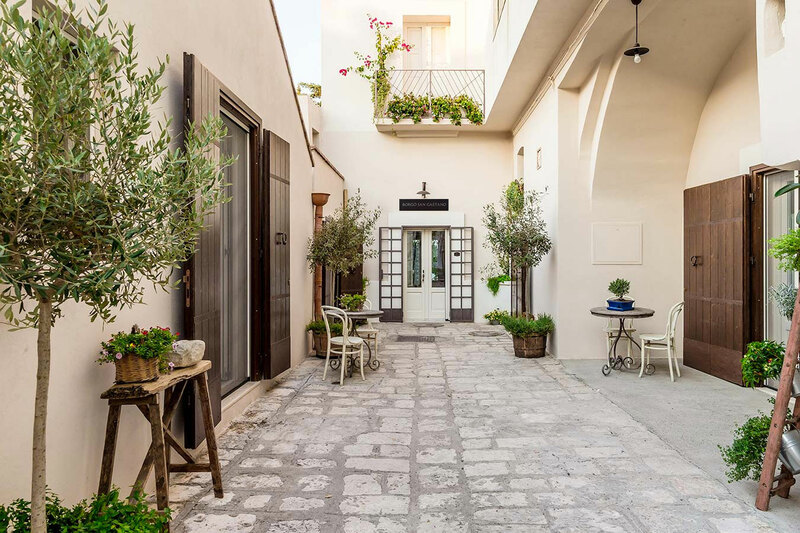 It is here that, among noble palaces and dream-like gardens, stands Borgo San Gaetano. The atmosphere, colors, and traditions of Bernalda pass through a place full of history: the tiny Vico Metaponto where, through the skill of master masons, the twin palaces, Belisario and Appio, were constructed. 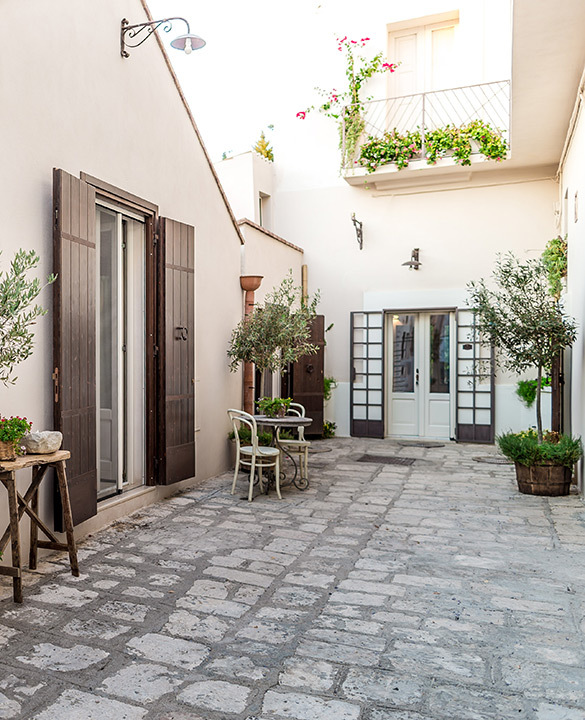 The Dimore and the Casalini of Borgo San Gaetano can be accessed from this charming cobbled road paved with chianche - limestone slabs - and characterized by the secular wisteria that adorns the entrance and welcomes guests. 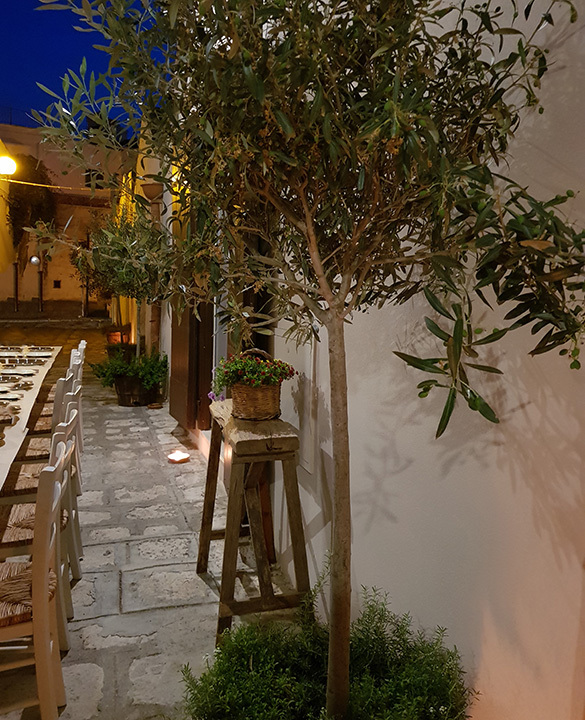 When weather conditions permit, the Vico hosts cheerful tables full of tradition. 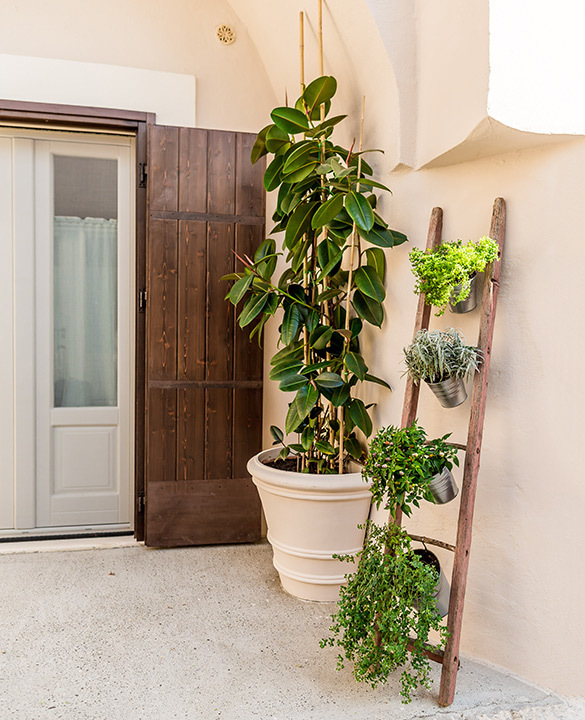 Guests in Borgo San Gaetano perceive a particular feeling of comfort in the environment and the reason can be attributed to the renewal intervention that was strictly carried out with Green Building methods, without the use of chemicals. The scent of lime and natural materials give a natural feel to the environment, offering well-being and relaxation. The territory of Metaponto was a well-organized territory. Just think of the grandeur of the irrigation canal system perpendicular to the sea and to the main exit routes from the city on which the necropolises were built. Those who subsequently urbanized the town used material from the excavations that followed the collapse of Metaponto. Therefore, tombstones are still found today as building materials. 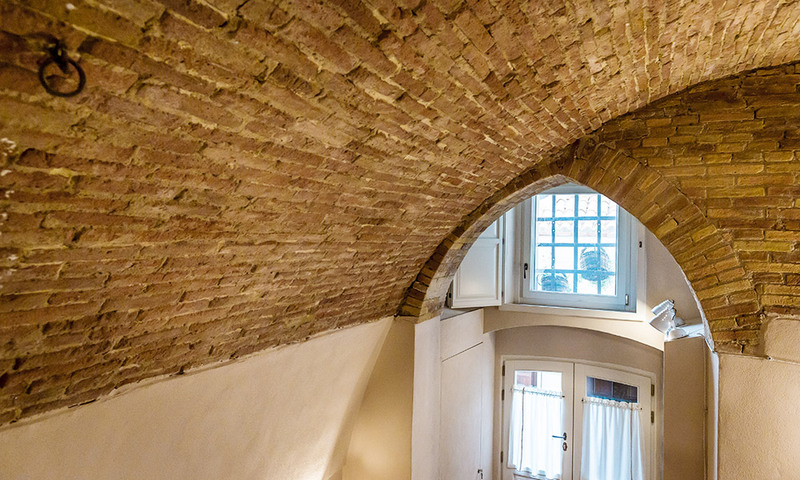 Also in Borgo San Gaetano, large blocks of limestone and old tomb covers were used for the lintels of doors and windows, thanks to their shape, which was perfect for this purpose. Nothing gets thrown away from the use of this precious plant, which is part of the Lucania tradition. From its fibers, natural quality fabrics are obtained, while its resistant trunk (which falls every 15 years to propagate new plants) is used in the building industry. 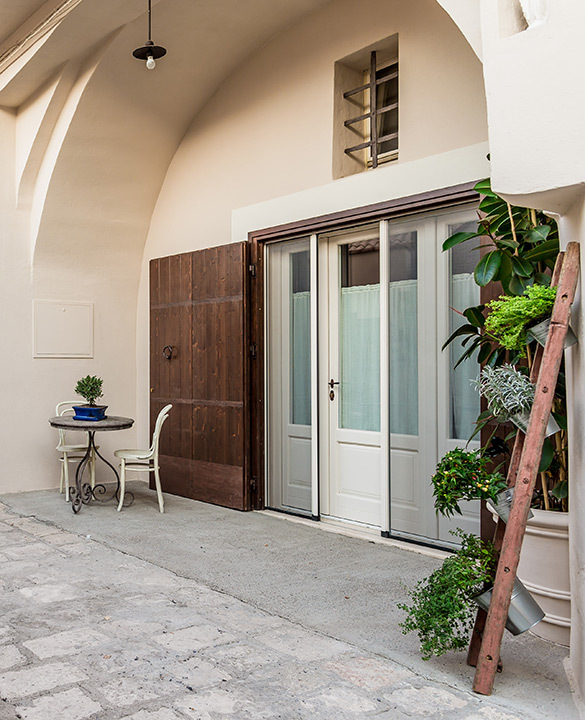 The agave is also known as the “railway plant”, since it was used to consolidate the paved railway and, today, it is found in the characteristic sloped pitched roofs of ancient dwellings, including those of Borgo San Gaetano. 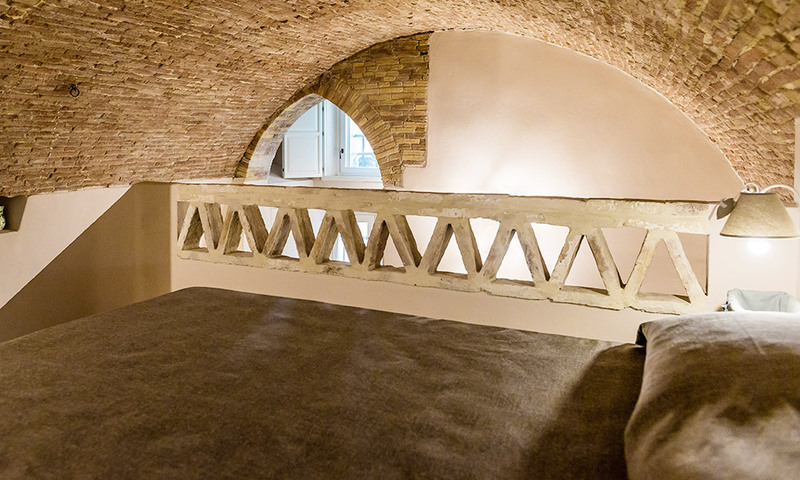 The motif of the triangle, recurring on the balustrades and in the furnishings of the restrooms in Borgo San Gaetano, is an element formerly used on wall louvers in the Lucania territory and is, today, cleverly inserted into the context of the Borgo, forming the quintessence of geometry: the Pythagorean Tetraktys, an equilateral triangle generated by the composition of multiple equilateral triangles, which create a hexagon in the central portion.